L1-2 B1 Big Lake Road Big Lake, AK. 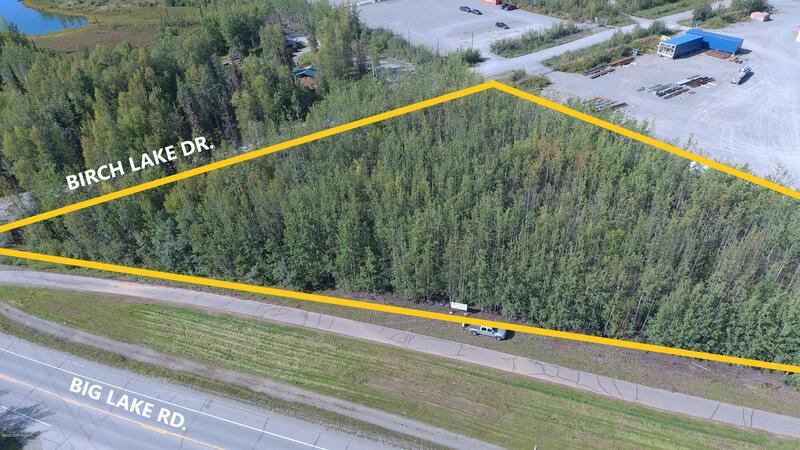 | MLS# 18-7987 | Mossy Oak Properties | 907-357-5100 | Wasilla AK Homes "For Sale" Alaska Businesses "For Sale"
Commercial, Industrial or Residential lots with frontage on, highly trafficked, Big Lake Rd. Lots are mostly level and no wetlands are present. Both are close to electric, phone, and natural gas service. New and established businesses in the area and close to residential homes. The tracts are being sold together and are priced to sell at $3,400 below the, total, tax appraised value. Lots are partially located in a flood plain. Call today for more information about this property.